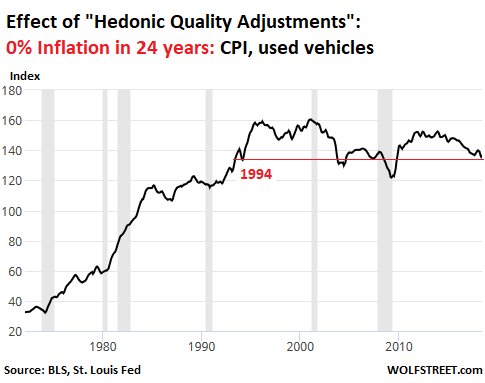 Some major changes on how inflation is calculated on autos, plus GM does not report it’s deliveries anymore so all the numbers that come in are estimates. Home buyers are now waiting to see if they buy a home, we saw this happen prior to the 2008 recession. Wholesale slumps in June. Rothschild just announced the plan to take down the economy and they already decided where to place the blame. Giuliani says that Mueller’s team is done for. Mattis says the plan in Afghanistan is going smoothly and the talks with the Taliban are working. NK comes out with a shocking revelation that the MSM and some inside officials are trying to derail the peace between the US and NK. Trump wants to talk to Iran but certain individuals within the administration are trying to stop the talks. Syrian army drops leaflets over Idlib, most likely they are preparing for a major offensive. The refugees are flowing back into Syria. The Deep state is trying to censor Q, they are talking down the sites and doing whatever they possibly can to stop the truth movement, not just with Q but with other sites. That drop bottomed out in March 2018, and prices have been spiking since. The increases in April and May were ascribed to seasonality, but then came June and July. 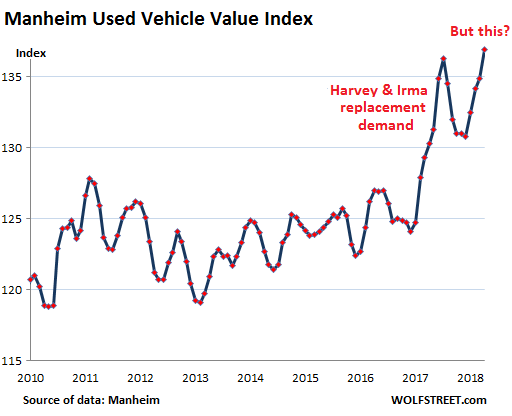 The industry now has to “estimate” monthly new-vehicle deliveries after GM stopped reporting its deliveries in April; GM accounts for over 17% of the new-vehicle market. And as of April, the industry has to fill that hole with estimates. GM, Fiat Chrysler, and Ford all got ugly in unison, in one day, something we haven’t seen since the Financial Crisis. housing market has stalled largely because of what he calls “buyer fatigue.” Consumers are well aware that rates are on the move, and even though year-to-date averages aren’t much higher than last year, a few basis points can make a difference for a first-time buyer or others who are already stretching in a competitive market. Wholesale Trade Sales were hit with a double-whammy, revised notably lower in May and dropping 0.1% MoM in June. Wholesale inventories rose a modest 0.1% MoM leaving inventories-to-sales flat on the month. Is the Economy Really Different This Time? A negative yield curve spread where short-term interest rates are higher than long rates has been a very good early indicator of a recession ahead. The period of monetary accommodation may well be coming to an end. “Can it get any worse? According to a Little Rock radio station 102.9 KARN: The FBI was seen loading boxes onto a DOJ Boeing 757 cargo plane today in Little Rock Arkansas. This is the home of the Clinton Foundation offices. The plane was loaded full of document type boxes. There aren’t too many places in Little Rock that could fill a cargo plane full of boxes. It is no secret that US Attorney John Huber is investigating Uranium1 and the Clinton Foundation, and now the FBI has opened up a new investigation into the Clintons. Dmitry Peskov, the press secretary of Russian President Vladimir Putin, says the use of a Russian link to recent UK poisoning incidents to justify fresh US sanctions against the Kremlin is a violation of international law. North Korea has slammed US officials for trying to undermine the North Korea denuclearization deal behind President Trump’s back, according to the country’s official news agency, KCNA. Pyongyang pointed out that that in addition to taking “such practical denuclearization steps” as discontinuing its ICBM testing and dismantling nuclear facilities, they allowed the repatriation of US-POW/MIA remains. And all of this is being done despite President Trump’s intention to negotiate in good faith, reads the statement. In other words, despite Trump’s intentions – members of his administration are undermining the historic progress made in US-North Korea relations. Kim giving Trump ammo to go after MSM and their “sources” for trying to derail a historic peace deal. Very good chance Trump/Pompeo worked with Kim to draft this statement. They now have public justification to investigate where these claims are coming from. Last week, President Trump offered talks with Iran “without preconditions.” This was a surprising move. Less surprising was Secretary of State Mike Pompeo, just hours later, imposing multiple preconditions on any talks. Yet Iran’s position on talks isn’t so straightforward either. President Hassan Rouhani likewise suggested on Tuesday that he was open to talks “without precondition,” though this was hastily amended to say that Iran cannot negotiate while under the shadow of economic sanctions. On August 9, helicopters of the Syrian Arab Air Force (SyAAF) dropped thousands of leaflets over the eastern Idlib countryside, in which the Syrian Arab Army (SAA) called on the civilians there to cooperate with it and to join the reconciliation process, according to the Syrian news outlet Enab Baladi. “Your cooperation with the Syrian Arab Army saves you from the control of militants and protects your lives and the lives of your families,” one of the leaflets reads. Such leaflets are usually dropped by SyAAF as a warning ahead of military operations. However, the leaflets which were dropped over the governorate of Idlib may be a part of the ongoing information campaign against Hay’at Tahrir al-Sham (HTS). As the Syrian Army moves closer to regaining control over the last remaining militant-occupied areas, a growing number of refugees are returning to begin rebuilding their lives. RT asked some of them why they are coming home.Between January and October of last year, 700,000 Syrians returned home from abroad, according to UN data.One man who’s already moved back to Aleppo told RT that normality was returning to the city as infrastructure and utilities were being repaired after more than seven years of civil war.“We opened a shop here,” he said, upon his family’s return to the city. “Thank God the electricity is back and life went back to normal again.”Another man making the trip from Lebanon by bus said they’re thinking of moving back because it’s become safer.“As for why I am going back… There is no place like home. 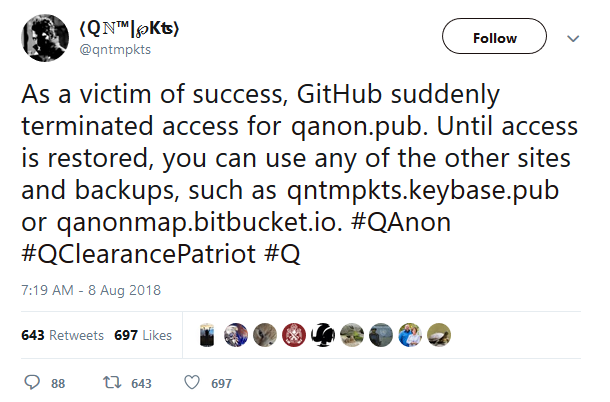 QAnon.pub has been taken down. Qntmpkts – the site’s maintainer – has verified that Github has indeed removed his site. This follows hot on the heels of Microsoft’s acquisition of Github two months ago for 7.5 billion dollars.